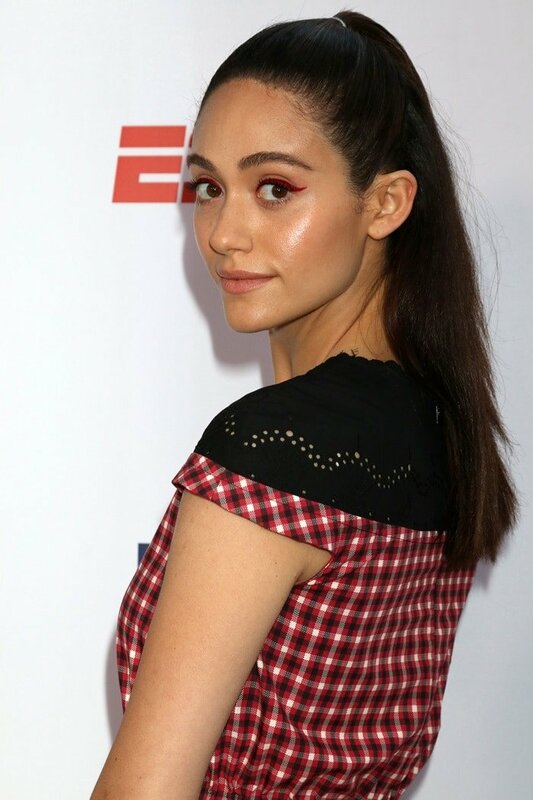 Emmy Rossum kept it sweet and casual in head-to-toe Fendi while posing for photographs at the 4th fourth annual Sports Humanitarian Awards, presented by ESPN and sponsored by Bristol-Myers Squibb Company, on Tuesday in Los Angeles, California. The event is a celebration of the impact made by athletes, teams and sports industry professionals who use the power of sport to make a difference throughout the world. The 31-year-old American actress, director and singer-songwriter looked lovely in a plaid flared midi dress (available at Farfetch) from the Fendi Pre-Fall 2018 Collection. 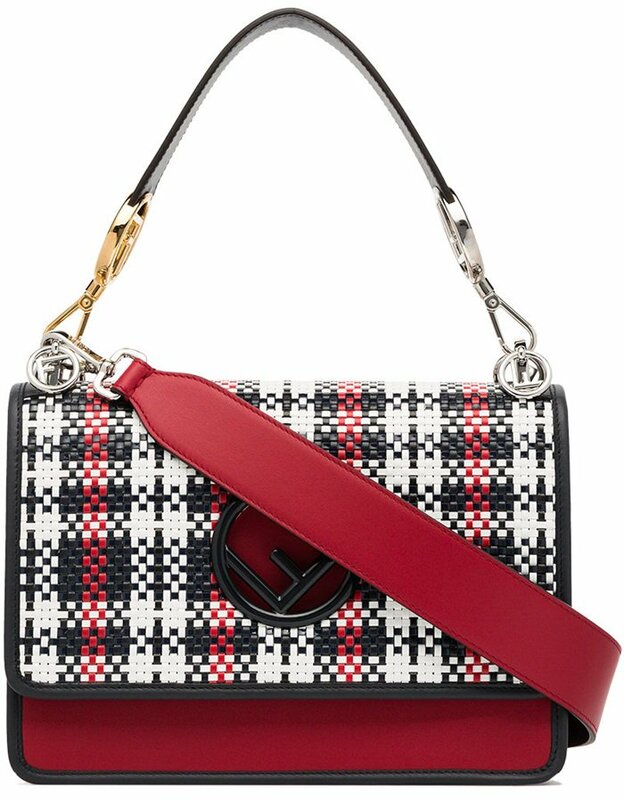 She styled her retro-chic dress with a matching red, black and white ‘kan I F’ woven leather shoulder bag (available at Farfetch). Her feminine ensemble was completed with ‘Colibri’ gingham slingback pumps that you can buy for $890 at Marissa Collections. 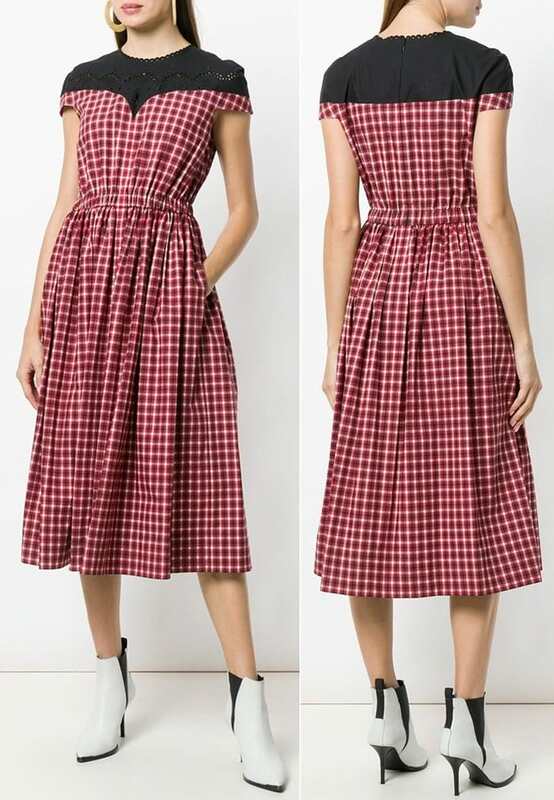 This red and black cotton plaid flared midi dress is a staple piece and features a round neck, short sleeves, a plaid print, a fitted waist, a mid-length and a flared style.